After an intense evaluation by our selection committee, I’m happy to report that the quality of the startups that are pitching at BkVF is outstanding. This is partly due to the excellent Bulgarian eco-system, but also due to the quality startups from coming across the SEE. For the first times we have a good showing even from Italy and Turkey! Infozone is an application for mobile and local search. 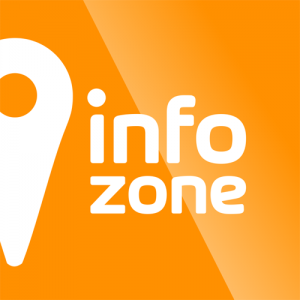 With Infozone you could find information regarding products, services and promotions close to you. Everything in the system is location aware and users could find information based on their location. Sponsia gives professional and non-professional event organizers the opportunity to raise funds and create better events helping them find cooperating interested sponsors. Sponsors, on the other hand, benefit from a wide choice of activities that could bring their brands and business fruitful connection with their target consumers, thus influencing the awareness, image and sales. Redback is a web platform offering enterprise services in the areas of retail and wholesale sales. The core of this project is a unified enterprise resource management system through which all enterprises have access to the resources needed with certain privileges. Being created from scratch, Redback an innovative web platform with a developer’s community suitable for purchases, offering the safety the customers need. MailBBQ is a software solution that facilitates day-to-day email communication inside SME by enabling their employees to easy collaborate and bring decision together for a specific requirement or information and respond quickly and accurately to an email. Mageca is the first market for gesture controlled apps, games and more. Our vision is to embrace the revolutionary change that has started and has to do with the way people interact with all the kinds of clever machines (pc, smartphone,tablet, smart tv , smart glasses , gaming consoles etc ) in order to make it simple and natural…to make it more human. Edlink enables ubiquitous, convenient, on-demand data for the K12 market resulting in “cost-effectiveness” and “convenience” for both schools and software companies. A cloud-­based roleplaying game, playable on any device with a browser. 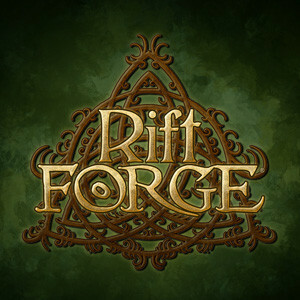 Riftforge challenges traditional online game conventions with dynamic combat that goes far beyond simple click mechanics. Players can chose among two dozen character classes with more than 70 unique abilities. MammothDB is a radically inexpensive alternative to traditional data warehousing (DWH) and business intelligence (BI) solutions. MammothDB leverages Hadoop, the ‘big data’ technology leader, and transforms it to allow SQL-compatible reporting tools (e.g. from Microsoft Excel to Microstrategy) to interactively query against your Hadoop data store – in seconds! Online social game focused on the group interaction and competition between club members passionate about cars. The story: join a car club, participate into Career races to make money and improve your car, join Challenge races to get fame for you and for your club. Collaborate and interact with the other club members. CarsCup is a Collaborative Racing Management game. Specializing in semantic search technologies, Kimola’s services enable companies to improve the usability of the data. Kimola provides cloud services based on the usability of big data with powerful statistics and analyses. At our last product- Kimola Social TV Ratings (STR) – we focus on social media activities now by getting benefit from our experience on big data. Imagga is high-tech start-up company focused on democratizing “image understanding” technologies wrapping them in a cloud platform of powerful APIs and user-friendly tools. The Imagga APIs allow owners of large image collections to automate the process of analyzing, organizing and searching through the images inside their collections on a SaaS basis. Prisync is a cloud-based competitor tracking application for e-commerce companies. We track the prices and stock availabilities of our custormer`s competitors` products and display it in a user friendly dashboard. We also send actionable notifications in case of change, so we let our customers to set their pricing and marketing strategies dynamically and optimally. An online BtoB and BtoC marketplace, where homeowners and businesses can find service professionals by posting their to do list & calling for tenders. Service professionals can gain new customers by bidding. Transmetrics is a big data, predictive analytics solution, catering to the needs of large transport companies such as DHL, DB Schenker, Agility. It helps them make multi-million savings on the operation of their transport networks. We offer a cloud based solution, where companies can forecast the future demand for their transport services, and optimize their transport network accordingly, in order to reduce the – currently very high – amount of unused capacity. Software-defined distributed storage, through software that allows companies to build their data storage out of standard servers, instead of buying expensive specialized storage boxes. StorPool decreases the Total Cost of Ownership of storage systems by up to 10 times, while at the same time radically increases performance, reliability, scalability and simplicity. DoxBee is an e-mail compatible document collaboration system that replaces attachments with distributed version control. Software that helps small and medium online businesses compete with Large internet corporations. By providing these companies with an effective toolbox for internet marketing that reduces their monthly expenses and increase the efficiency of their sales while making their customers happy. Zzzzapp! is a content delivery platform that turns any Wi-Fi network into a highly inter-active multimedia experience. ZotSell is a software Cloud based Social Gamified SFA (Sales Force Automation) App that improves the sales process for: • Companies Delivering a cloud app for sharing information, simplify and improve the relationship with the sales network. • To Sales reps Provides a mobile app to receive the information and enhance their social relationship with end customers. Eventyard helps you discover upcoming events by streaming recommendations based on your interests and location. iMediaShare offers entertainment the easy way, allowing viewers to choose what to watch and when to watch it. With thousands of On Demand options ranging from breaking news to popular shows, available instantly to viewers on any connected TV, iMediaShare is a unique addition to the modern connected home. The ability to stream media from multiple online sources and aggregate content from home media servers allows iMediaShare to transform the mobile handset into a new generation portable set-top box. Wanderio is a web application that takes the online travel experience to the next level, taking care of the user from doorstep to final destination. Wanderio compares flights, trains, ferries and ground transportation services, to let the user choose and book the solution that suits him best, sorting alternatives by price, travel time and CO2 emissions. A cross platform music app that stores your music in the Cloud and lets you listen to it from your computer or mobile. A web-based solution that helps designers and their clients, as well as design teams work on projects together using interactive collaboration on images and videos. Instead of writing long emails proposing a variety of corrections, you are able to mark specific places on an image or a video frame in real time, post tasks and manage several projects online. A SaaS that helps you get excellent SEO on all your articles. The easiest way to get loyalty cards on your smartphone of conventioned stores and receive promotions reserved for you. Manage both your cards and those of the conventioned stores which allows to receive real-time communications, customized promotions and exclusive invitations. Meisterplus is an online marketplace that helps you find trusted home improvement professionals. The process is really easy. Homeowners post jobs on the website and receive offers from relevant tradesmen. codebender.cc is an online IDE for Arduino fans, makers and engineers. Pubsonic wants to introduce visually interactive scientific data, especially in the stem cell area, in the format of clickable scientific infographics. Online value added service for both potential buyers and sellers for Antiques, Collectibles, Second Hand Valuables and Contemporary Art. Entertainment and communication service that converts text messages into animations, or conversations into cartoons. Collaborative document management and layered note-taking web app. Skiipi is app which is going to change the way people communicate while they are engaged in extreme sports like skiing and snowboarding. It helps people communicate more easily and control their roaming bill when they are abroad. CaseTrek is online legal case management software for solo lawyers, small and mid-sized law firms. It enables full mobility & access case materials from any device. Sgnam is the new cross-platform that allows the customer to order directly food delivery from the restaurants nearby. An app, installed on the restaurateur’s device, allows a direct communication between the customer and the restaurateur, and consequently an immediate feedback in terms of delivery time. Boy, that was a long list of amazing startups. I’m especially curious to learn more about some of the early stage companies that seem promising but cagey with their innovative ideas. We are set for an exciting Pitching Competition at the Balkan Venture Forum. Come to Sofia on May 21-22 to check out these exciting startups. Get your ticket for BkVF, and also receive access to the mini-Seedcamp and Leancamp! ← Join the top regional innovation community at the Balkan Venture Forum in Zagreb!